Captain Lloyd Sabin admits his side now face a big challenge to get back into the title race. 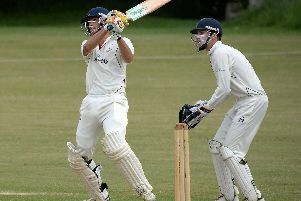 Banbury travel to Tring Park for Saturday’s Home Counties Premier Cricket League fixture, having missed a great opportunity to challenge the leading clubs. Sabin’s side came up short against second-placed Slough in last weekend’s low-scoring division one clash at White Post Road. Tring Park are one place above Banbury but just five points ahead and Sabin will be looking to complete the double over the Hertfordshire outfit. But both clubs are a long way behind leaders Aston Rowant and Slough, who they should have taken maximum points against on Saturday. Sabin said: “If you want to win the league you have to win those types of games and we didn’t. It wasn’t just the top order, we didn’t bat well down the order apart from Richard West. “We’ve scored runs at the top of the order up to Saturday so everyone has to contribute. We weren’t good enough and we need to improve against Tring Park on Saturday. Steven Green is unavailable against Tring Park so Sabin will decide later this week whether to bring in another bowler to replace him or another batsman. Meanwhile, Great & Little Tew captain Harry Smith will be looking for his side to make the most of their unlikely success at Amersham. 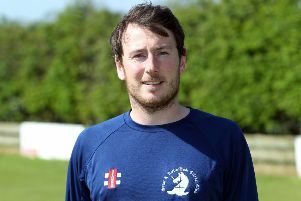 Tew entertain Datchet in Saturday’s division two fixture, having managed to defend a low total at Amersham where they were rolled over for 79 runs before Joe Thomas ripped through the home batting line-up. Thomas was the tormentor as he took eight wickets for the loss of just 20 runs.